The recordings on this page are not copyrighted so use freely! Pictures verified "yes" are also free for use. Please e-mail us and tell us if you understand the recordings. Tell us what language you speak and what country you live in. Copy the address you see under the picture into your e-mail. 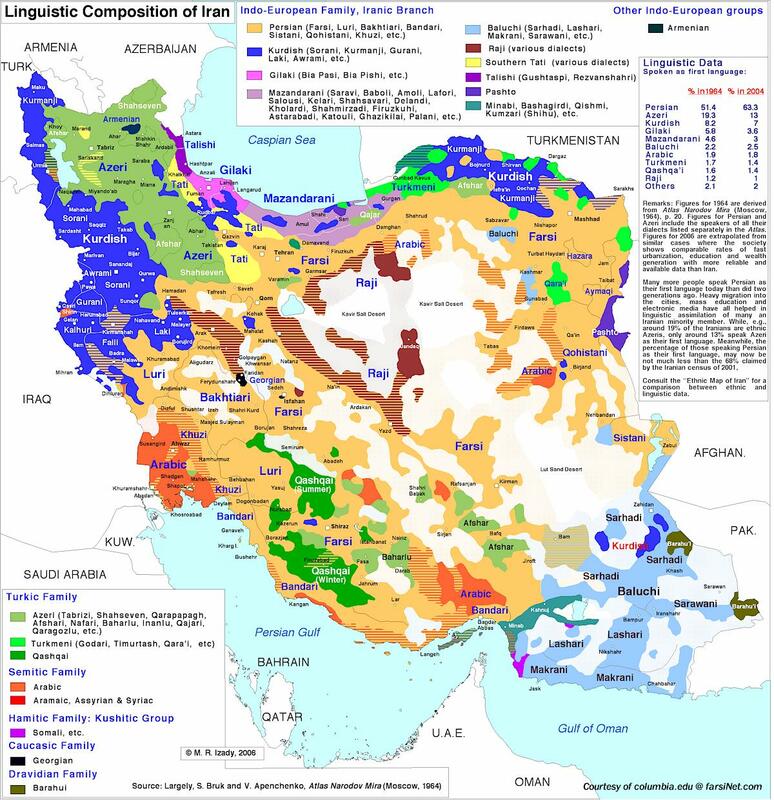 White Section - 24 large viable Language groups in Iran. These are cultures that want to preserve and use and their language. We have verified recordings for each. Yellow Section - 19 verified smaller language groups that perhaps are being assimilated into the larger languages. Red Section - 14 Language groups where the language is extinct or near extinction. These have been deleted or are in the process of deletion. 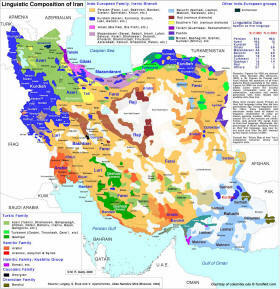 White Section - 24 Larger viable Language groups in Iran. These are cultures that want to preserve and use and their language. Play same video from Vimeo. Right click to save 15 meg video. Right click to save 29 meg audio. Province and city you can visit: Every province and city of Iran. Description: Persian is also called Farsi, and it is the national language of Iran. Many minority groups speak their minority language at home and speak Persian at school and in the work place. Verified picture: YES Taken at the tomb of Hafez in Shiraz in 2005.
Review of recording by a Persian: Clear standard Persian. 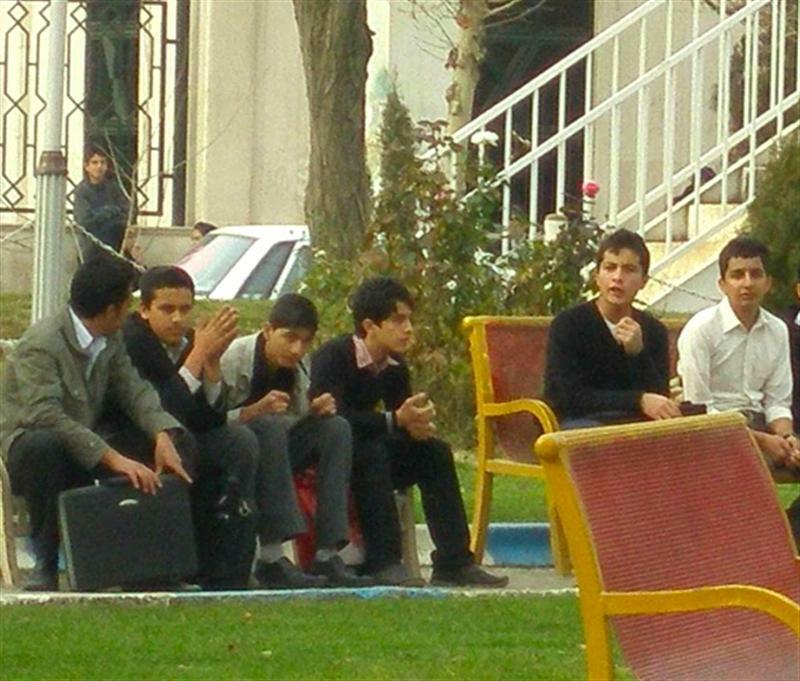 Notes from a Persian visitor to this group: Almost everyone in Iran speaks Farsi these days. Even members of the different language groups might say “I am Persian.” But if you ask someone, “What language do you speak at home?” they will then answer “Azeri Turkish” if their parents are Azeri. Persian is the language that almost everyone in Iran prefers to learn new things in even if they are from a different mother tongue language group like Azeri. Strength of language 10 of 10. 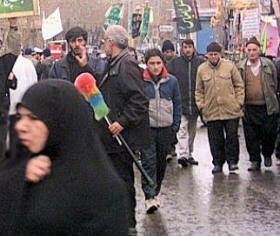 Verified picture: YES Foreign tourist took in 2006 in Tabriz. Review of recording by a Persian: This is a separate language from Persian. Good quality. A Persian can understand 10%. Notes from a Persian visitor to this group: The audio was done by an Azeri from Iran. The video was done in the country of Azerbaijan but since it is video then Iranian Azeris are content with it. Azeri is a strong language that will not die out. Azeris can adapt to understand media from Turkey and Azerbaijan. Strength of language 9 of 10. آيا شنونده ها از صحت اين ضبط شده مطمئن هستند؟ بله . Dialect /Segment of Azeri - Shahsavani (azb dialect) They speak a slight variation of Azeri. 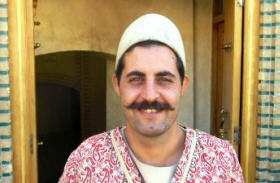 Description: The Shahsavani are Turks and speak a dialect of Azeri. Many are nomads and live in tents high in the mountains. Verified picture: YES Iranian tourist took this in 2008 near Meshkinshahr. Click to play Shahsavani audio. Recording is about 30 minutes long. Right click here to save recording. File is mp3 and is about 29 megs in size. Review of recording by a Persian: This is a separate language from Farsi. This is an accent or dialect of Azeri. A Persian can understand 10%. Notes from a Persian visitor to this group: Visited in 2008. Easy to find. Group working to preserve its culture. All ages speak it. Everyone can also speak Farsi. Above info is correct. Also found in Parsabad and surrounding area. Language will be as strong 50 years from now. Speakers welcome literature and media in Azeri. They prefer speaking Azeri with Shahsavani accent when in groups. Language group name: Afshar (azb dialect 3wider) They speak a dialect of Azeri but quite different as they are far from Azeri area. Description: They are nomads and live in tents. They are Turks, but their language differs from the Azeri language of Tabriz. 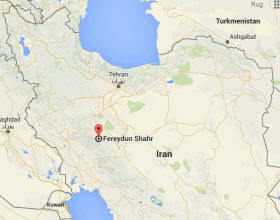 Afshar are also found near Tabriz. Verified picture: YES Foreign tourists took this in 2005 in Fars near Kerman border. Click to play Afshar audio. Recording is about 30 minutes long. Afshar video: right click to save a 17 meg mp4 video for computer or mobile phone. Review of recording by a Persian: This is a separate language. A dialect of Azeri but close to Qashqai. Much Farsi mixed in. A Persian can understand 10%. 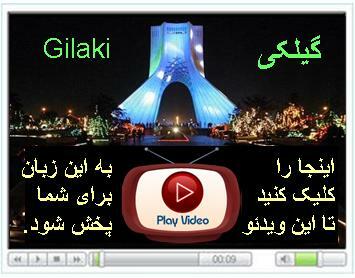 Description: Gilaki language is closely related to Persian. Many Gilaki people grow rice and tea. Verified picture: YES Taken by tourists in 2005.
Review of recording by a Persian: This is a separate language from Persian. A Persian can understand 50%. Some Persians think it is a dialect. It is different from Mazandarani. Notes from a Persian visitor to this group: Gilaki is a living language for many of the people in Gilan province. Strength of language 9 of 10. Galeshi is a dialect/segment. Click to play Rudbari audio. Recording is about 30 minutes long. Review of recording by a Persian: A Persian listening to this recording understood 80%. Sounds like a Persian with Northern accent like Gilaki. Notes from a Persian visitor to this group: Visited in 2009. We found the language but it is at risk of dying out. Just some middle aged and old people speak it It seems Farsi is the best language for print and media. Linguist reported that that Rudbari has been heavily influenced by Gilaki to the extent of becoming a mixed language. Description: Mazandarani is in the Persian language family. These people harvest some of the world’s finest caviar from the Caspian Sea. Review of recording by a Persian: This is a separate language from Persian. A Persian can understand 30%. Notes from a Persian visitor to this group: Mazandarani is a living language for many of the people in Mazandaran province. Strength of language 9 of 10. A segment of Mazandarani - Shahmirzadi [srz 6aVigorous] 6,000 Shahmirzad, Semnan Province. Close to Mazanderani and Gilaki. Click to play Shahmirzadi audio. Recording is about 30 minutes long. Review of recording by a Persian: A Persian listening to this recording understood 70%. Sounds like Persian with some Mazandarani accent. Perhaps with some Luri. Notes from a Persian visitor to this group: This group was easy to find. Young and old speak it. All the members can speak Farsi. This person thought it was Talysh related. The language is at risk of extinction. Use Farsi for media and print. Verified 2010 by Kol paper. Description: They are Turks who belong to many different tribes. 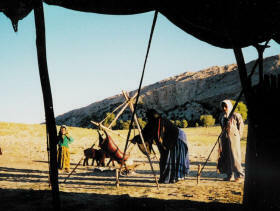 Qashqai nomads camp in black tents north of Firoozabad and Kazerun in the summer and south of those places in the winter. 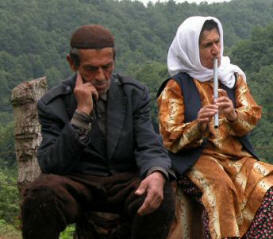 Qashqai language is from the Turkish family, and some people consider it a dialect of Azeri. However Qashqai people and Azeri people cannot communicate with fluency. 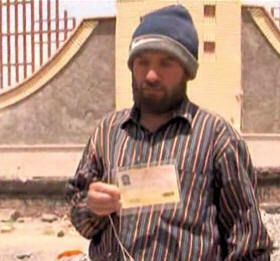 Verified picture: YES Tourist took in 2007 near Firoozabad. Review of recording by a Persian: This is a separate language. Almost a dialect of Azeri. Many Farsi words. A Persian can understand 15%. Notes from a Persian visitor to this group: This language is quite strong. It will endure and communicating with these people is best done in Qashqai Turkish both in both writing and oral media. 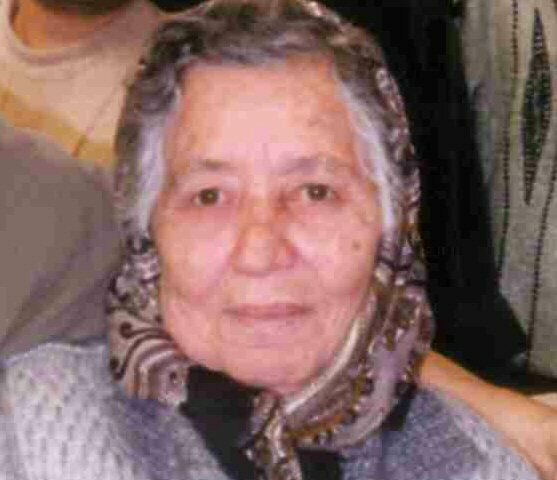 About 30% of old people do not speak Farsi. However the number of speakers is decreasing due to urbanization. Strength of language 8 of 10. 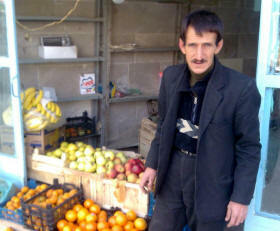 Description: They speak the same language that Iraqi Arabs speak. Verified picture: NO This picture is from an Iranian blog and is Sunni Arabs in Ahvaz. Are we in contact with speakers? YES..
Review of recording by a Persian: A separate language from Persian. A Persian can understand 5%. A foreigner who speaks Arabic says this recording and the Gulf Arabic recording are just different accents. This recording is more formal than the Gulf recording. Notes from a Persian visitor to this group: Most Arabs speak Arabic at home and with fellow Arabs on the street. 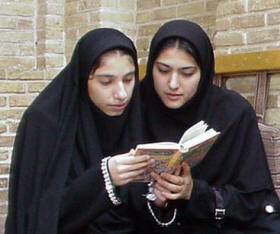 However Farsi is the preferred written language of learning. Perhaps 30% of older Arabs do not speak Farsi and prefer media items in Arabic. A movie made in the Iraqi accent from Bagdad was produced and enjoyed among Arabs in Ahvaz. Strength of language 5 of 10. Description: Various peoples migrated to Iran from the Gulf area, and some still speak an Arabic different than Mesopotamian Arabic. The Arab nomads of the Khamseh tribes speak a kind of this Arabic. 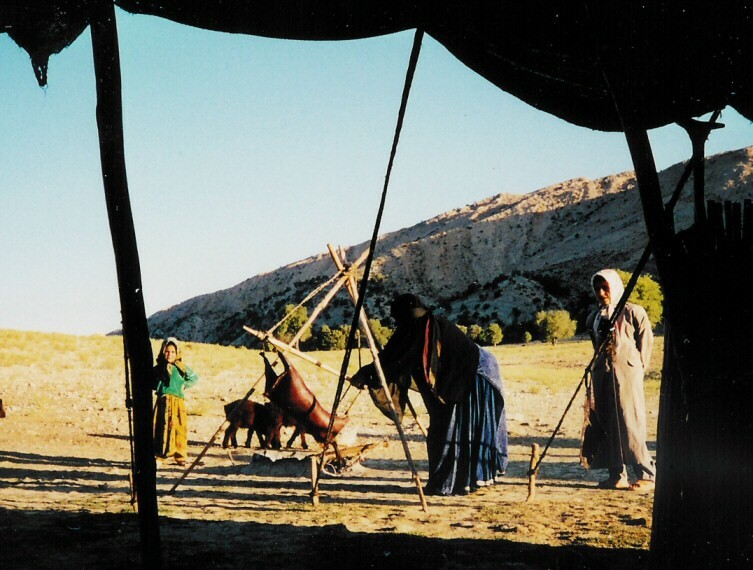 Verified picture: YES This is a picture of Khamseh Arab nomads taken by tourists in 2000. Click to play Gulf Arabic audio. Recording is about 30 minutes long. Are we in contact with speakers? YES. Review of recording by a Persian: A separate language from Persian. A Persian can understand 5%. 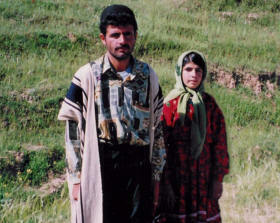 Description: Their language is also called Northern Kurdi. 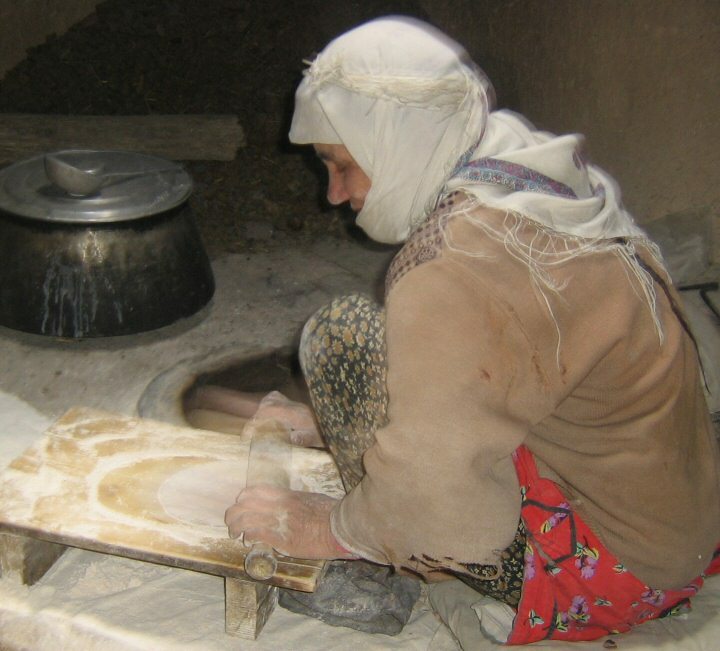 All of the Kurds in Khorasan are Kurmanji, and many are nomads. They also live near Turkey. Verified picture: YES Taken by tourists in 2004. 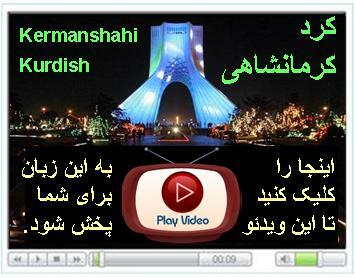 Click to play Khorasani Kurmanji audio #1 Recording is about 30 minutes long. Right click here to save Khorasani Kurmanji recording #1. File is mp3 and is about 29 megs in size. Review of recording by a Persian: This is a separate language. A Persian can understand 3%. A Kurd said this is a Kurmanji dialect spoken by Kurds in Khorasan. 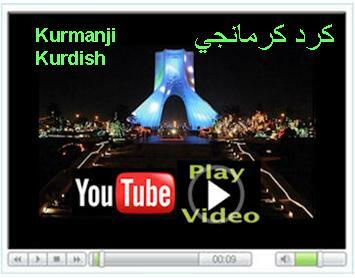 Click to play Kurmanji Kurdish audio #2 Recording is about 30 minutes long. Right click here to save Kurmanji Kurdish recording #2. File is mp3 and is about 29 megs in size. 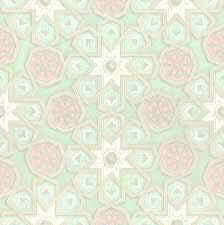 Kurmanji video: right click to save a 17 meg mp4 video for computer or mobile phone. Review of recording #2 by a Persian: This is a different language. Farsi speaker can understand 0%. A Kurd listened to it and said it is a Kurmanji dialect spoken in Iraq and Turkey with some speakers on the Iranian side of the border. Province and city you can visit: Kurdistan, Sanadaj and villages south of the Urmia Lake. Description: They were once nomads but now are mostly settled. The men wear baggy pants. Their language is also called Central Kurdi. Review of recording by a Persian: This is a separate language from Farsi. A Persian can understand 5%. Description: These people are famous for their carpets. Their language is also called Southern Kurdi. 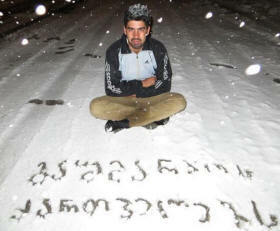 Verified picture: YES Picture was taken by an Iranian tourist in 2009 in Kermanshah City. Review of recording by a Persian: Done by radio announcer. It is a separate language. A Persian can understand 40% Kermanshahi people can understand only 40% of Sorani Kurdish. Dialect/Segment of Kermanshahi Kurdish (Southern Kurdish) - Gurani Kurdish (Hawrami) [hac 7Shifting] 22,900. Western part of Kordestan province, near Iraqi border, in Hewraman, east of Sanandaj, also north of Kermanshah. Also called: Awromani, Gurani, Dialects: Kakai Luhon, Kandula, Gawhara. Language family: Persian. Click to play Gurani Kurdish (Hawrami) audio. Recording is about 30 minutes long. Download a 9 minute video. Picture taken by an Iranian tourist in 2010. Are we in contact with speakers? NO. Review of recording by a Persian: A separate language from Persian. Sounds Kurdish. A Persian can understand 0%. Description: An Iranian tourist took this picture in 2009. Wikipedia says, "Avromani, also known as Hewramî, Hawramî, Ōrāmāni, Horami, Awromani, Owrami, is one of the main dialects of the Gorani language. The language of Uromanat inhabitants is a kind of Kurdish dialect, which is not easily understood in other parts of Kurdistan Province. Description: 9,000 Kelhuri Kurds speak Southern Kurdish and listed as living in Iran. Not in Ethnologue. 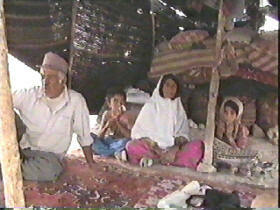 Description: Many still live in tents and migrate with their animals. Review of recording by a Persian: This is a separate language. Not understood by Azeri people. Persians can understand 3%. Description: Most of the population of the city Khoramabad are Luri language speakers. Their language is called Northern Luri. 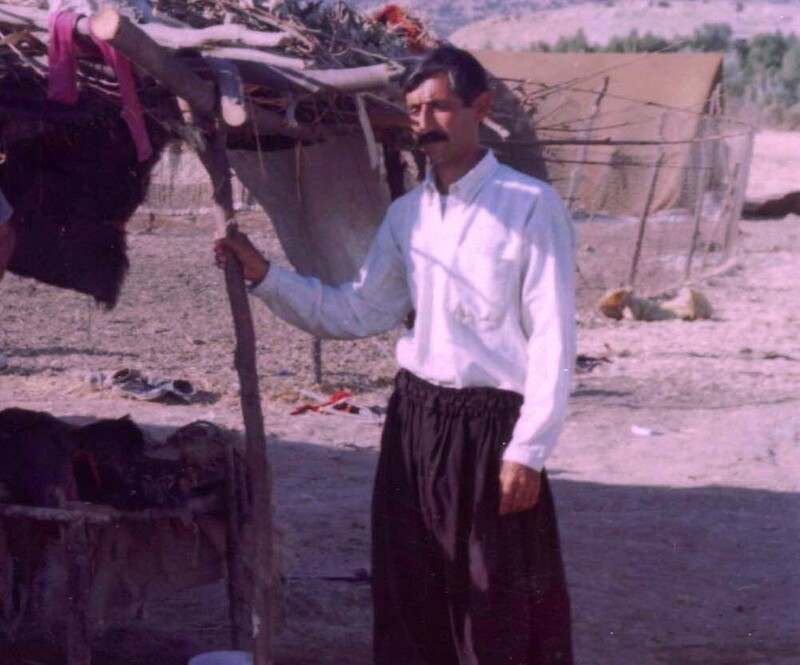 In Luristan province, you can find some tents of the Luri nomads. Verified picture: YES Taken of a Luri nomad near Khoramabad in 2004 by an Iranian tourist . Review of recording by a Persian: This is a separate language. Many Farsi words. A Persian can understand 30%. Province and city you can visit: Chaharmahal ve Bakhtiari, Shahr-e-kord and Khuzestan. 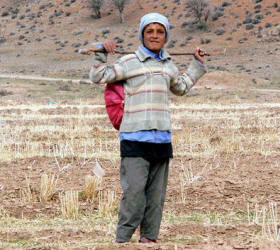 Description: Many are still nomads living in tents high in the mountains. 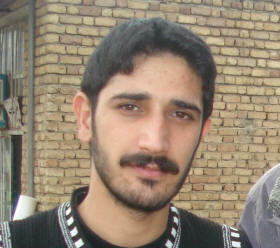 Verified picture: YES taken by tourist in 2005 in Chaharmahal ve Bakhtiari province. 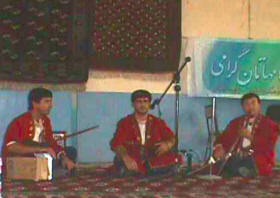 Click to play Bakhtiari audio. Recording is about 30 minutes long. Bakhtiari video: right click to save a 17 meg mp4 video for computer or mobile phone. Review of recording by a Persian: This is a separate language. Bakhtiari and Luri are related, and some say one is a dialect of the other. 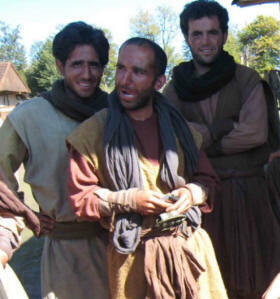 However, Bakhtiari and Luri people do not say their language is a dialect of the other. A Persian can understand 30%. Description: This language is a mixture of Luri and Kurdish. Most Laki call themselves Lurs. 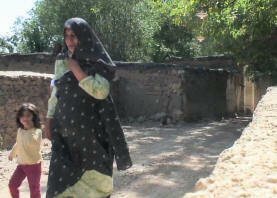 Verified picture: YES This photo was taken in a Laki village called Harsin near Khoramabad. Review of recording by a Persian: This is a language different than Persian. This is between Luri and Kurdish. Perhaps a dialect of Luri. A Persian can understand 40%. Description: This group calls themselves Luri, but they do not understand the Luri language from Luristan. The Luri in Fars province are the Mamasani group. Verified picture: YES. Taken by a tourist in 1999 near Yasuj. Click to play Boyerahmadi audio. Recording is about 30 minutes long. 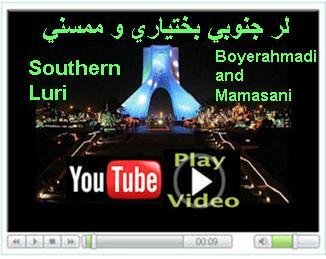 Southern Luri video: right click to save a 17 meg mp4 video for computer or mobile phone. Review of recording by a Persian: This recording is quite similar to Farsi. Thus this recording is like a dialect of Farsi. Maybe this speaker is more Persianized. A Persian can understand 80%. Description: Though most of the Afghan refugees in Iran are returning to Afghanistan or moving on to other countries, many are trying to stay and they do manual labor jobs throughout all of Iran. The Afghans who do not speak Hazara dialect or Pashto speak Dari. Some of these Dari speakers call themselves Tajik but many just call themselves Afghan. Tajiks from Tajikistan speak a different dialect/language (code tgk) and is not in this page since it is a small expat group. Verified picture: YES. 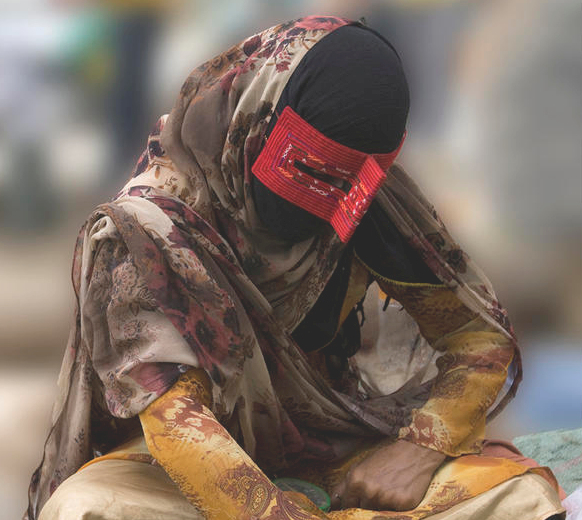 A Tajik bride in Iran taken by an Iranian in 2006. Click to play Dari audio. Recording is about 30 minutes long. Dari video: right click to save a 17 meg mp4 video for computer or mobile phone. Review of recording by a Persian: Dari. An accent of Persian. A Persian can understand 98%. 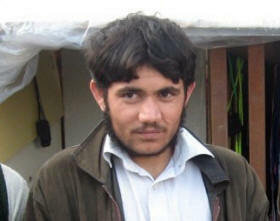 Description: Most are refugees from Afghanistan. The language is called Hazaragi and is a dialect of Dari. Verified picture: YES Taken by tourists in 2004 in Meshad. Click to play Hazara audio. Recording is about 30 minutes long. Hazara video: right click to save a 17 meg mp4 video for computer or mobile phone. Review of recording by a Persian: Very close to Persian. A dialect of Persian. Persian can understand 80%. A Dari speaker said Hazara is a dialect of Dari/Persian. Description: Of the many people who have come to Iran from Afghanistan, these people speak Pashto which is not related to Farsi/Dari. Most also speak Farsi/Dari. Click to play Pashto audio. Recording is about 30 minutes long. Pashto video: right click to save a 15 meg mp4 video for computer or mobile phone. Have speakers verified recording? 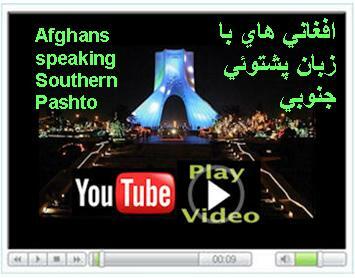 NO The video is from a recording labeled Pashto Kabuli and may not be pbt language. Review of recording by a Persian: A separate language from Persian. A Persian can understand 0%. صحت عکس: خير اين عکس از يک وبلاگ خبري فارسي گرفته شده. نوشته به ما تلقين مي کند که فکر کنيم اين يک پشتو است. ما به عکس هاي بهتري نيازمنديم. 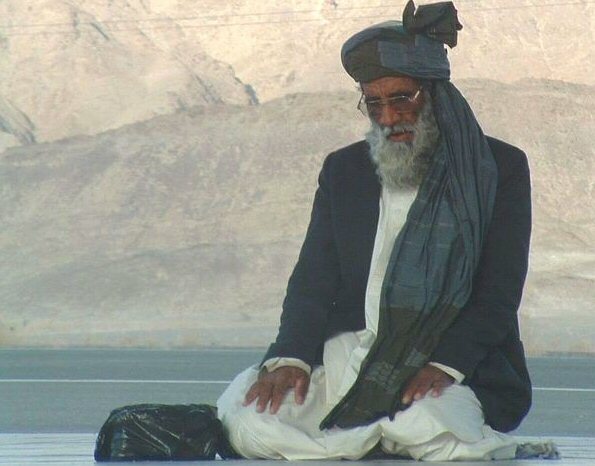 Description: They are related to the Baloch of Pakistan. Verified picture: NO From the web and it was taken north of Zahadan, but we need a better picture. 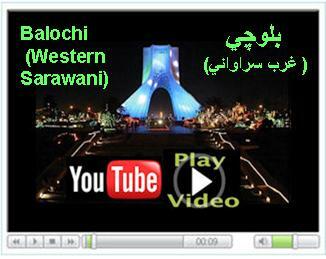 Click to play Western Balochi audio. Recording is about 30 minutes long. Description: Many are nomads and still dwell in tents in the desert. Verified picture: NO From the web. It is Baloch people from Char Behar, but we need a better picture. Click to play Southern Balochi audio. Recording is about 30 minutes long. Southern Balochi video: right click to save a 16 meg mp4 video for computer or mobile phone. 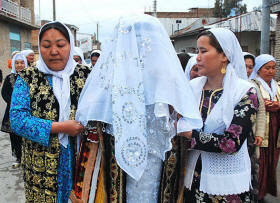 Description: They are descended from the Turkish Kingdom of Khorasan. The population may be much lower. 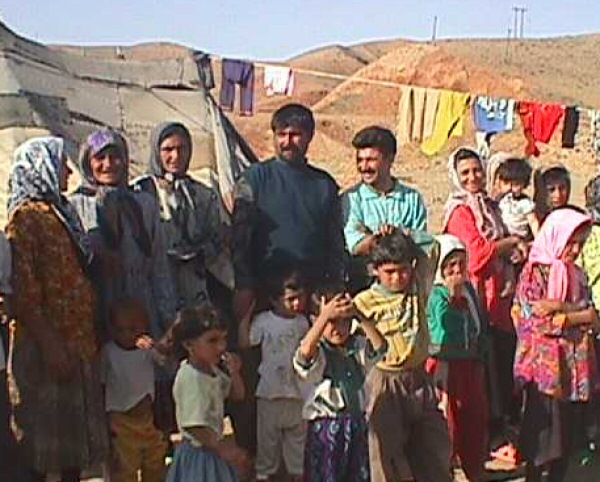 Turks and Kurds live in Quchan and Bodjnord. 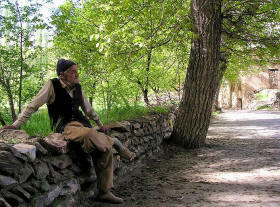 Verified picture: YES Picture was taken in 2010 of a Turk in a village near Quchan. Click to play Khorasani Turkish audio. Recording is about 30 minutes long. Khorasani Turkish video: right click to save a 17 meg mp4 video for computer or mobile phone. Review of recording by a Persian: This is Turkish. It is a separate language from Persian. Close to Qashqai. An Azeri can understand 80%. A Persian can understand 15%. 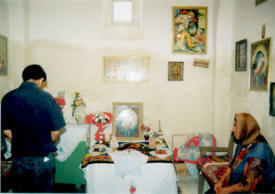 Description: The Armenians are traditionally Christian and worship in churches. They live in Tehran and many other cities. Verified picture: YES Taken by tourists in 2003. Click to play Armenian audio. Recording is about 30 minutes long. Armenian video: right click to save a 17 meg mp4 video for computer or mobile phone. Review of recording by a Persian: A separate language from Persian. A Persian can understand 0%. Probably from Armenia. 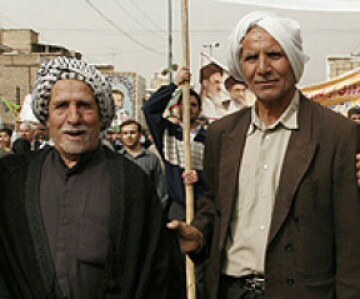 صحت عکس: بله در سال 2003 توسط توريست ها گرفته شده است. Description: They make small wooden cabins in the mountains. 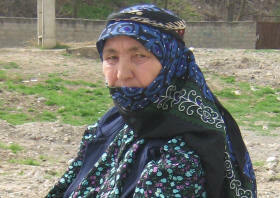 They live along the Caspian Sea and in mountain areas near Masuleh on the Azerbaijan border. Talysh consists of three dialects. 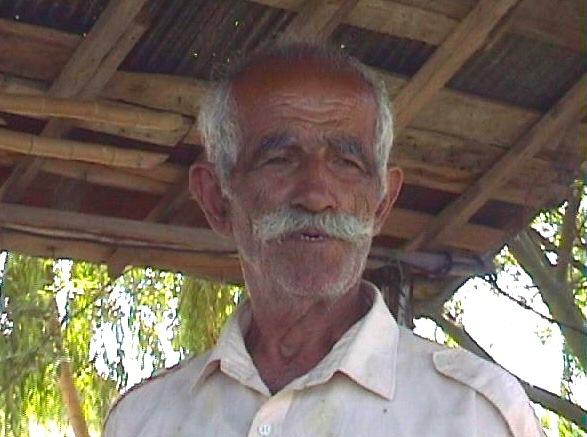 Northern Talysh speakers understand Azerbaijani Talysh. 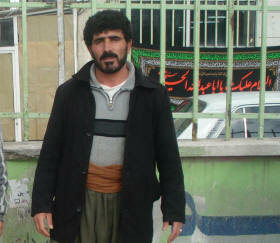 The Southern Talysh are very Persianized but can understand Central Talysh speakers after a couple of weeks exposure. Central may need its own literature. 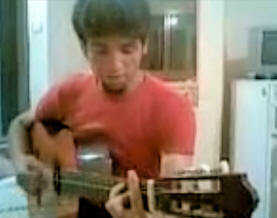 Verified picture: NO It is for sure Talysh people in Iran and is from a folk music website. We need a better one. Click to play Talysh audio. Recording is about 30 minutes long. Review of recording by a Persian: A separate language. A Persian can understand 3%. صحت عکس: خير اين عکس به طور قطع از مردم تالشي ايران است و از يک وب سايت موسيقي سنتي گرفته شده است. ما به عکس هاي بهتري نيازمنديم. Description: A region of Fars province is known as Larestan. Many of the shop owners in Dubai are Larestani. 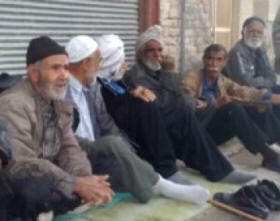 Verified picture: NO This is a picture of retired men in downtown Lar from a website. We do not know for sure if these are Larestani speakers. Click to play Larestani audio. Recording is about 30 minutes long. Larestani video: right click to save a 17 meg mp4 video for computer or mobile phone. Review of recording by a Persian: Seems related to Farsi. Yet a Persian can understand only 35%. Perhaps this recording is not as distinct as the Larestani spoken by Iranians shopkeepers in Dubai. Description: There is much debate on what is standard Persian Sign Language. 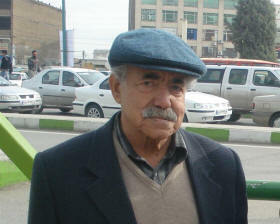 Most deaf Persians do not speak standard International Sign Language. Verified picture: YES This picture is of students of a school for deaf people in north western Iran. Click to play Persian Sign Language video. Video is 40 minutes long and should open in Windows media player. Right click here to save 9 minute video. Have speakers verified recording? NO We think the woman who made the video is deaf, but we do not know for sure. Review of recording by a Persian: A separate language from Persian. A Persian can understand nothing. توضيح : بحث و جدل هاي بسياري شده تا معلوم شود که استاندارد زبان اشاره فارسي کدام است. بيشتر ناشنوايان ايراني نمي توانند زبان اشاره بين الملي را صحبت کنند. 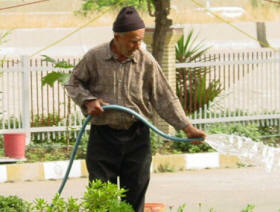 Description: Some Gypsies make money on the streets of Tehran. They are called Ghorbati or Domari or Zott and also live in Fars. 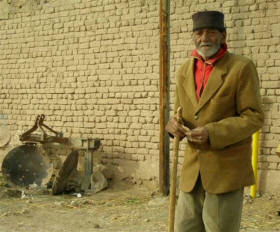 There are Zargari Gypsies in the village of Zargar. We deleted Romani as nonfindable. Review of recording by a Persian: A separate language from Persian. A Persian can understand 30%. Sounds like Balochi. Notes from a Persian visitor to this group: I think this recording was done in Tehran. There are Gypsies in Fars who dress more like Baluch people. But only one Gypsy language could be found with different accents. This language seems to be a purposeful attempt to change Farsi so as to not be understood by the majority. "Zed" is added to the end of words. Oral recordings in Farsi work for this group. There is no need for written materials. Everyone speaks Farsi. The language is at risk of extinction. Strength of language: 3 of 10. Yellow Section - 19 smaller language groups where the language is still active but Farsi is used for most things. With more research these groups might be moved to the white list above. Not on C list. Other area. Description: They are an ancient people living throughout the Middle East. They are traditionally Christian and worship in cathedrals. Verified picture: NO These are Assyrians in Iran from the web, but we need a better picture. Click to play Assyrian audio. Recording is about 30 minutes long. Review of recording by a Persian: A separate language from Persian. A Persian can understand 0%. Probably not recorded in Iran. Language group name: Georgian [kat 5dispersed] Population: 30,000. 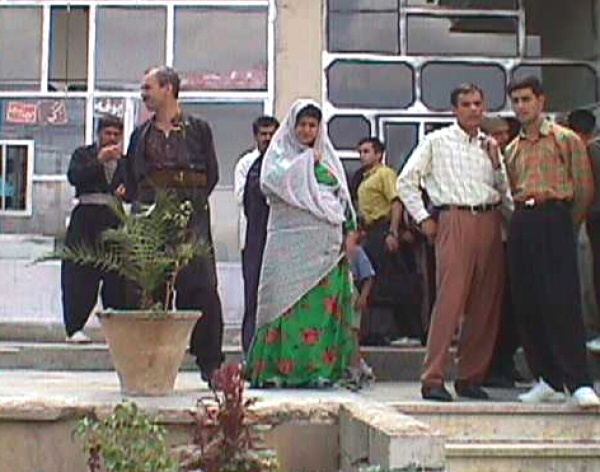 Location: A Georgian-speaking city named Fereydunshahr in Esfanhan Province was visited in 2005. Also called: Kartuli, Gruzin. Language family: Georgian. Click to play Georgian audio. Recording is about 30 minutes long. Review of recording by a Persian: A separate language from Persian. Recorded in Georgia. A Persian can understand 0%. Location: Kazakh speakers in Gorgan city in Mazanderan Province. Tourists from Kazakhstan visited them in Iran and confirmed a community. Also called: Gazaqi. Click to play Kazakh audio. Recording is about 30 minutes long. Review of recording by a Persian: A separate language from Persian. Azeri Iranian cannot understand. Recorded in Kazakhstan. A Persian can understand 0%. Contains the two dialects below. Location: West Azerbaijan Province: Qalingie, between Marand and Jolfa, northwest of Tabriz. Location: East Azerbaijan Province, Dizmar District, Keringan village. Contains the 3 dialects below. Description: They are in the Talysh language family. 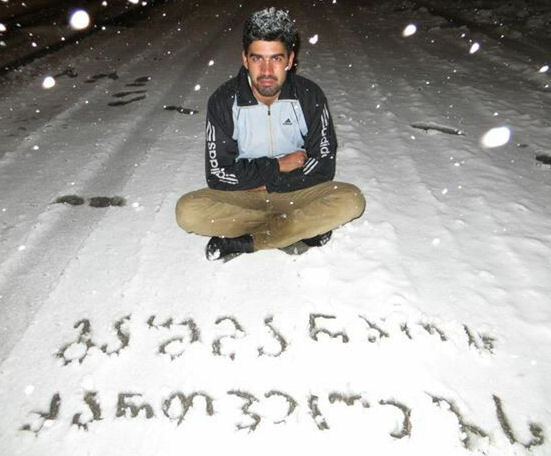 Verified picture: YES Taken by a tourist in 2008 in Khalkhal, East Azerbaijan. Click to play Kajali audio. Recording is about 30 minutes long. صحت عکس: بله در سال۲٠٠۸ توسط يک توريست در خلخال , شرق آذربايجان گرفته شده است. Verified picture: NO The picture was taken by a tourist near Khalkhal which is where the recording was made. Used with permission from Flikr. But we don't know if this is a speaker of this language. Click to play Shahrudi audio. Recording is about 30 minutes long. Notes from a Persian visitor to this group: They were easy to find and they protect their language. It seems to be Talysh related. All ages know this language but everyone can speak Farsi. The language is at risk of extinction and Farsi should be used for media and print. Location: Eastern Azerbaijan Province, Koresh-e Rostam District. Click to play Koresh-e-Rostam audio. Recording is about 30 minutes long. Contains the 9 dialects below. Click to play Alviri-Vidari audio. Recording is about 30 minutes long. Rudbar-e Alamut area. Language family: Talysh. Dialects: Dikini. Close to Gozarkhani. Click to play Maraghei audio. Recording is about 30 minutes long. Notes from a Persian visitor to this group: Visited in 2008. This person found the language easily and to be strong. People try to marry within the culture. He thought it is related to Tati. All ages speak it and it will not die out. It is named after the town of Maragi. The other city is Gawsayhani. This language should be used for media items. Perhaps Farsi is best for written use. Location: Markazi Province, Arak District. Language family: Related to Talysh and Astiani. Language family: Talysh. Close to Takistani. Click to play Eshtehardi audio. Recording is about 30 minutes long. Description: This language might be spoken only by older people and may be called Khalkhal, Tarom, Zanjan, Kharaqan, or Ramand. Verified picture: YES Taken by tourists in 2004. 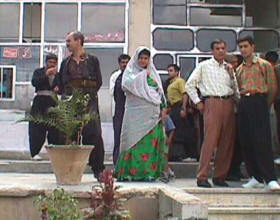 The woman in the center spoke Takistani. Gozarkhan (northwest of Qazvin) Close to Maraghei and Semnani languages. 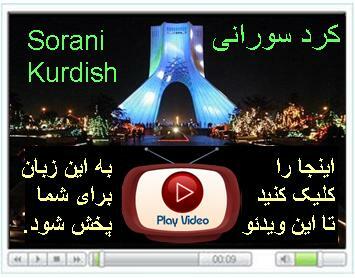 Click to play Gozarkhani audio. Recording is about 30 minutes long. Location: Qazvin in Qazvin Province and Kuhpayeh area. Click to play Razajerdi audio. Recording is about 30 minutes long. Click to play Taromi (Upper) audio. Recording is about 30 minutes long. Notes from a Persian visitor to this group: Visited in 2009. This group was easy to find. It is a strong language that will survive. People prefer to marry within the group. All ages speak it and 10% do not know Farsi. This group might prefer media and literature in Azeri. Perhaps it is a segment of Azeri? Location: Semnan City in Semnan Province. Click to play Semnani audio. Recording is about 30 minutes long. Review of recording by a Persian: A distinct language but close to a dialect of Persian. A Persian can understand 40%. Sounds close to Mazandarani. Notes: A distinct verified language in Kol paper in 2010. See possible dialects below. Click to play Sangisari audio. Recording is about 30 minutes long. Review of recording by a Persian: A Persian listening to this recording understood 50%. Sounds like a dialect of Persian or Persian with some Mazandari sounds. Notes from a Persian Visitor to this group: This language was easy to find. People protect the language and call in Mehdisahr. Everyone speaks it. It is related to Semnani. Still the language is at risk. Seems like Farsi is best for media and print. Verified 2010 by Kol paper. 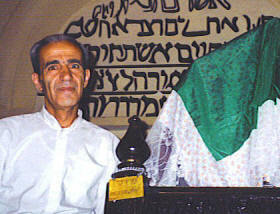 Dialects include 3,500 Talebabadi, 3,000 Dardshazini. Location: In Lasjerd, Semnan Province (40 km southwest of Semnan). Location: Semnan Province: Sorkheh, 19 km southwest of Semnan. Language family: Persian, Semnani. Related to Lasgerdi. Notes from a Persian visitor to this group:: In 2009 this group was easy to find but no recording has been made. Only old people still speak the language and all are bilingual with Farsi. It is related to Semnani. Language is headed toward extinction. Location: Esfahan Province, Kashan and Esfahan areas. Language family: Persian. Possible dialects: Vonishun, Qohrud, Keshe, Zefre, Sedeh, Gaz, Kafran, Mahallat. Khunsari dialect is a Central dialect within the South Median branch of Northwestern Iranian languages, spoken in Khansar, a town in the west of Isfahan Province of Iran. Click to play Khunsari audio. Recording is about 30 minutes long. Review of recording by a Persian: A different language. A Persian can understand 20%. Sounds close to Luri. Notes from a Persian visitor to this group: Visited in 2009. We found the language but only 5% of elderly people can speak it. It seems Farsi is the best language for print and media. Likely photo of Khunsari. 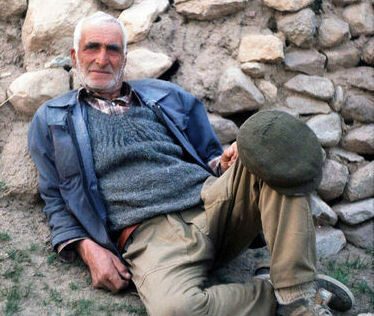 As the population of the town of Khvosnar nearly matches the population estimates of the people group (~25k), it is highly likely the photos are Khunsari. Location: Central Fars Province: Somghun, Papun, Masarm. Also called: "Tajik". Language family: Related to Lari. Click to play Fars, Southwestern Tajik audio. Recording is about 30 minutes long. Review of recording by a Persian: A Persian listening to this recording understood 70%. Sounds like a dialect or accent of Persian which sounds like Lari. Notes from a Persian visitor to this group: Visited in 2007. Easy to find. 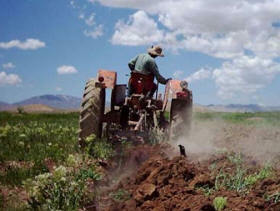 Group is working to preserve its culture. Above info is correct but they prefer to call the language Tajik. Children are not speaking the language. 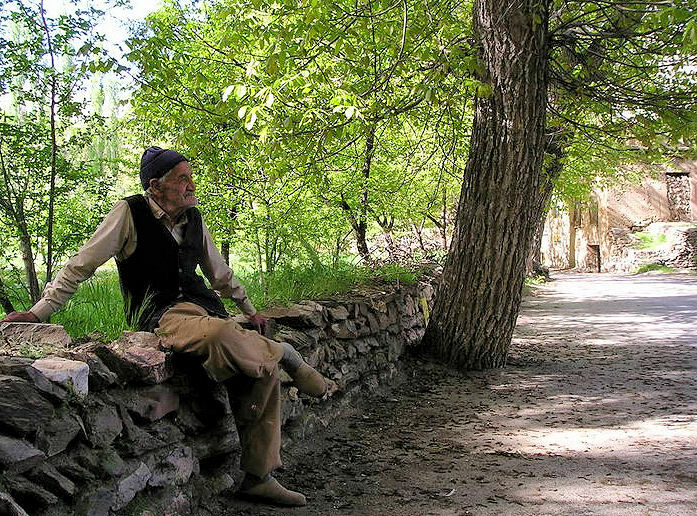 All but 10% of elderly people speak Farsi. Language seems to be a dialect of Talysh. Language will still exist in 50 years. Speakers would prefer to read and listen to Farsi materials. They prefer education in Farsi. Linguist thinks it is unique. Location: Eastern Hormozgan, Southern Kerman. Also called: Bashaka. Play or right click here to save recording. File is mp3 and is about 55 megs in size. This is Bandari which is Arabic so it is not a representation of this main language. Note: Linguist says in Oct 26, 2010 that exists and Bandari is a dialect. Recording is Bandari. This could go with Balooch. Location: Sivand, Fars Province (70 km northwest of Shiraz on the Shiraz-Esfahan Road). Language family: Northwestern Persian. Click to play Sivandi audio. Recording is about 30 minutes long. 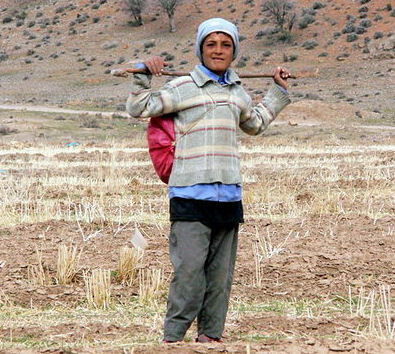 A foto of a shepherd boy near Sivand village. But not verified if he speaks Sivandi. 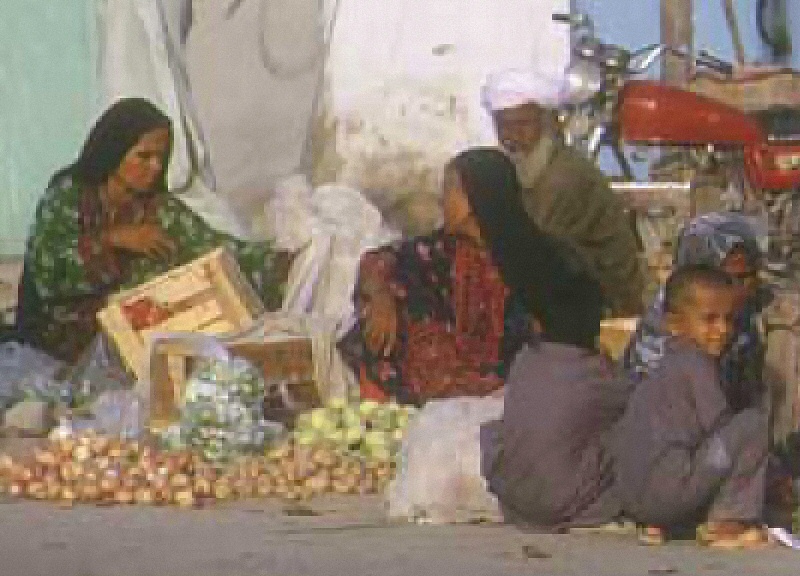 Location: Central Sistan and Baluchistan province, including Zahedan. Also called: Brahudi, Birahui, Kur Galli. . Dialects: Kalat, Sarawan. Click to play Brahui audio. Recording is about 30 minutes long. Review of recording by a Persian: Not yet reviewed. Language group name: Judeo-Persian (ISO jpr 7Shifting) They all speak Farsi. In other area. Description: Jews were exiled to Iran during the Babylonian Empire. 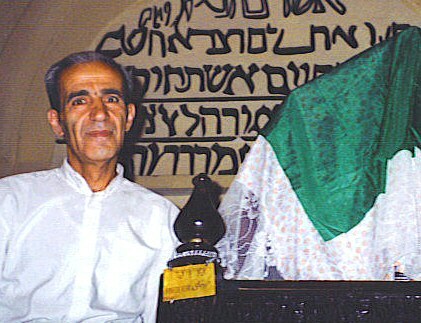 More Jews live in Iran than any country in the Middle East other than Israel. Their language is also called Dzhidi. Click to play Judeo Persian audio. Recording is about 30 minutes long. Have speakers verified recording?Have speakers verified recording? YES. Note: This recording is the regional accent spoken by Jewish people near Hamadan. In 2008 there were no Iranians found that spoke a variant of Hebrew nor a distinct language. 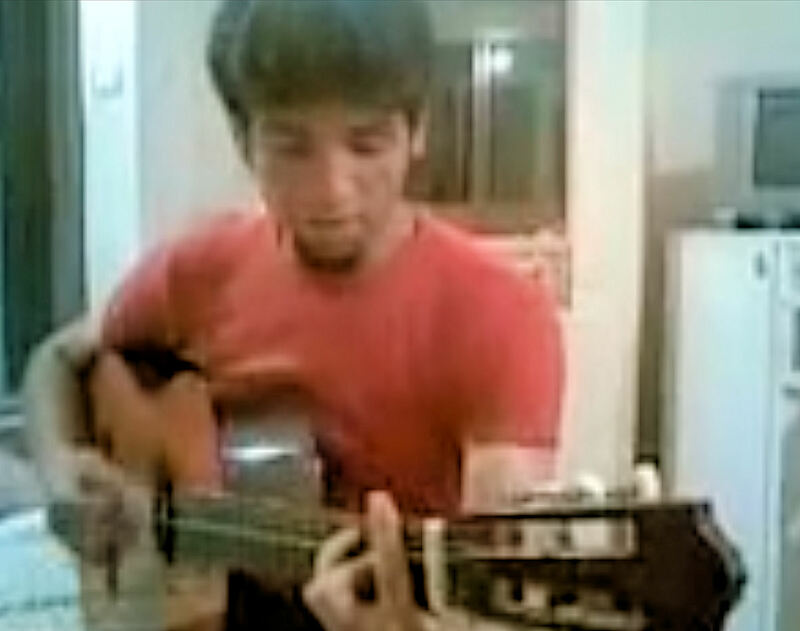 Review of recording by a Persian: This is Farsi with a country accent from Hamadan. A Persian can understand 80%. Notes from a Persian visitor to this group: Visited in 2009. We found the language but everyone speaks Farsi. They read Hebrew if they go to Jewish meetings. This recording is not Hebrew because no spoken Hebrew could be found. Existing print and media items in Hebrew should be enough since there is little interest in Hebrew. There are currently about 25,000 Jews left in Iran. They have legal synagogues. 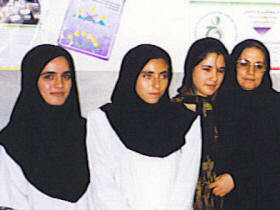 Language group name: Zoroastrian Dari (Zartoshi) (ISO gbz) They speak Farsi with a Yazd accent. Description: This is a small secret language of the Zoroastrian religion. Sometimes called Zartoshi. A negative name is Gabri. Sometimes called Parsee. Dialects: Related to Parsi-Dari [prd] and Nâyini [nyq]. Verified picture: NO This is Zoroastrians in Iran from the web, but we don't know if this is speakers of this language. Click to play Zoroastrian Dari audio. Recording is about 30 minutes long. Have speakers verified recording? YES. But no distinct language was found. Review of recording by a Persian: This is Farsi with a Yazd accent. A Persian can understand 98%. No distinct Zoroastrian language speaker could be found. Description: This group is given its own ISO code, but a researcher has only been able to find the Zoroastrian Parsi language (ISO gbz). Also called Parsee but don't speak the Parsi (prp) of India. Closely related to (gbz.) Thus we conclude that perhaps this language is more of a cultural grouping. Language group name: Mandaean (ISO mid 7Shifting) They speak in a dialect of Mesopotamian Arabic. Description: They call themselves followers of John the Baptist and are a mix of religions. 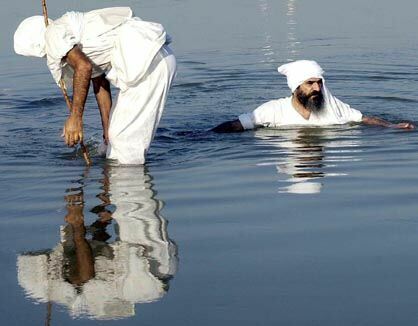 They baptize each other many times in the Karoun River in Khuzestan. They are also known as Sabbehi and live in the Sabbehin quarter of Ahvaz. They speak Mandaic language. There was a Mandaic, Classical myz language that was deleted. Verified picture: NO This is the Mandaean people doing their religion taken from the web. They still practice, and a tourist went in 2007 to the Mandaean cultural center in Khuzestan. Click to play Mandaean audio. Recording is about 30 minutes long. Have speakers verified recording? YES. Note: This language is nearly extinct. In 2007 it was found to be the language of a small group of religious Sabbehi. It is not being learned by the younger people. The recording is of the regional accent spoken in the area by Sabbehi people. We have a video of a prayer in the old Mandaean language. Review of recording by a Persian: This is the Arabic spoken by Mandaean people who no longer speak Mandaean. A separate language from Persian. A Persian can understand 0%. Notes: Linguist Oct 2010 said they exist as a very small group that is shifting and may need to be deleted. Population: 180. 40 to 50 families. Language family: Related to Balochi. Notes: Linguist Oct 2010 said they exist for sure as camel hearders for Qashqai. Location: Northeast of Arak in Central Province. Also called: Khalaj. Language family: Northwestern Persian. Also called Sohi. Notes: Researcher in 2008 could not find them. Might be extinct. Linguist said they might be around the town of Soh, which should be visited before the language is assumed extinct.. These small groups below speak one of the languages in the white section above yet have a cultural distinctive that sets them apart. Ghorbati Gypsy (Speak Yoruk dialect of Domari language rmt) 149,000? Red Section- 14 Language groups where the language is extinct or near extinction. These have been deleted or are in the process of deletion. The ones without recordings could not be located. Some might be on the Ethnologue list by mistake. Language group name: Nayini [nyq 6aVigorous] 7,033. Esfahan Province: Nayin and Anarak, 100 km east of Esfahan; Also called: Biyabanak. Dialects: Nayini, Anarak, Khuri. 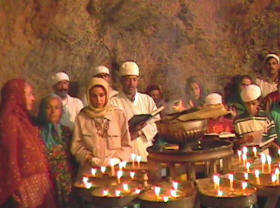 Related to Zoroastrian Dari. Click to play Nayini audio. Recording is about 30 minutes long. Review of recording by a Persian: An accent of Persian. A Persian can understand 90%. Was deleted from C list. Ashtiani [atn 7Shifting] 21,100. Ashtiyan and Tafresh, Markazi Province. Very close to Vafsi language. Language family: Persian. NEARLY EXTINCT. Iranian met them in 2008 and reported that only a few non-literate elderly people can speak it. Linguist in Oct 2010 said ask three but thinks group is near extinction. Move to delete. Click to play Khoini audio. Recording is about 30 minutes long. Review of recording by a Persian: A Persian listening to this recording understood 15%. A different language from Persian. An Azeri speaker said it sounds like 90% Azeri and is perhaps just a different accent of Azeri. This recording is better to be viewed as a dialect of Azeri. Click to play Dezfuli audio. Recording is about 30 minutes long. Review of recording by a Persian: A Persian can understand 80%. A dialect or accent of Persian with some Bakhtiari sounds. No population is given. We conclude this is not a distinct people group. Natanzi [ntz 6aVigorous] 7,030. Esfahan Province: Natanz, on the Esfahan-Kashan Road. Dialects: Yarani and Farizandi. Language family: Northwestern Persian. NEARLY EXTINCT. Iranian met them in 2008 and reported that only a few non-literate elderly people can speak it. Deleted from C list. They exist in Pakistan as the mother group. Note: Linguist Oct 26, 2010 says not extinct. They found up to 25,000 speakers. Many also speak Farsi and Baloochi. Need more research to see if they should stay on this list..
Tat, Muslim [ttt 8aMoribund] 8,000 in Iran. Language family: Northwestern Persian. But a Persian reviewed this recording and said it is Turkish. An Azeri person can understand 100%. A separate language from Persian. A Persian can understand 10%. Perhaps this is a mistake. So either the Muslim Tats speak this Turkish or this language is simply for Azeri Turks who live in Takistan area of Iran. HARD TO FIND. Iranian reported in 2008 that this group is so far unfindable. Deleted Aimaq aiq 6avigorous. Not on C list. Linguist could not find them. Deleted Northwestern Fars faz 7Shifting. Not on C list. Linguist could not find them. Deleted Khalaj kjf 5developing We kept Turkic Khalaj. Not on C list. Linguist could not find them. Deleted Balkan Romani rmn 7Shifting. Linguist could not find them. We kept the Domari in white section above. Deleted Salchuq slq 10Extinct. Not on C list. Linguist could not find them. Kumzari zum 8aMoribund. Population 600. Were not put on any list. Senaya syn 8bNearlyExtinct Not on C list in other area. Linguist could not find them.